iPhone is an all ready to capture the Indian market after it launched its branch new ‘smaller’ version of iPhone by slashing the price of its new model. 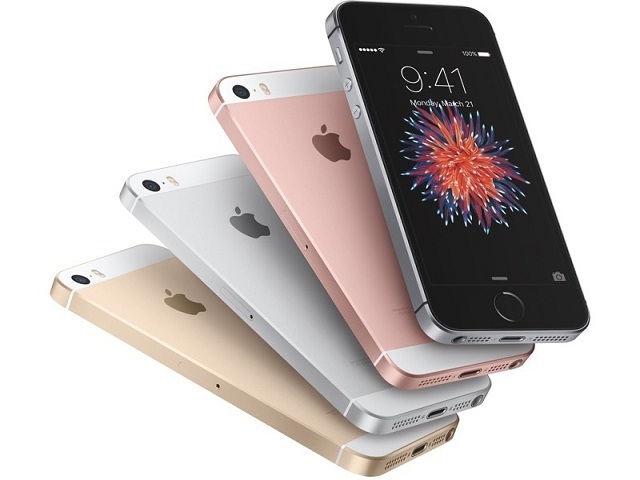 The new model launched by iPhone, iPhone SE is the strongest little phone available in the market. iPhone which has a various line of products whose ranges always touch the sky. This high soaring price keeps users away from the leading mobile manufacturing company. After Apple Inc. had announced to set up a manufacturing unit in India, prices of iPhone were expected to go low. And it did happen. iPhone SE is the most powerful small phone ever, the tagline of iPhone says. And the specifications prove it correct. iPhone SE has a small 4-inch camera with 12 MP Camera and lives image feature in it. The processor used in iPhone SE is the same employed in iPhone SE 6s which makes it more compelling. Design- To make it look stylish and trendy yet comfortable in your hands, iPhone SE is crafted from bead-blasted aluminum with a brilliant 4-inch Retina display and a color matched steel logo which gives a vibrant and sharp look the phone. Processor- M9 Motion Coprocessor which is directly embedded in the A9 chip, the same which is used in iPhone 6s forms the core of iPhone SE. The 64 Bit desktop class architecture gives spectacular speed and ultimate responsiveness. With M9 Coprocessor, Accelerometer, Gyroscope, and Compass are given into functionality which measures distance, height, track fitness, and speed. The console-class graphics performance provides you with an enriched experience for games and videos. Camera- iPhone SE consists a 12 MP camera with live photo features. With 12 MP camera, you can shoot sharp and detailed clarity image of minutes things as well having a resolution of 4K which means resolution four times higher than 1080p can be shot with iPhone SE. The live photo feature gives life to your image with just one touch. You can also edit live photos with this feature. The Retina display doesn’t just focus on your face it’s a flash for your FaceTime HD camera. With iCloud Photo Library gives huge space to store your photos and videos. Security- TouchID is the feature used as a security feature in iPhone SE. All you need to set your fingerprint match as a safety lock. Connectivity- Fastest LTE 4G and WiFi enables you to browse the web, download videos, games and apps with 802.11ac Wi-Fi and 4G LTE. Also, the Bluetooth features quickly connect you to your other Apple devices like watches, speaker, and iPad. With 19 LTE bands, Up to 150 Mbps over LTE and Up to 433 Mbps over WiFi speed never let your disconnect with the internet. Software- iOS 10 is used in iPhone SE for easy interface, amazing features, and secure operations. The highly secured software of iPhone SE makes it worth trusting. Applications- With over 2 Million apps, you can have them in your iPhone SE as per your choice and connects them easily with your other Apple device like iPad, Macbook, and watches. Price In India- iPhone SE is available in two variants, one in 16 GB and other in 16 GB where 16 GB variant is available for INR 19,999 and 64 GB variant available for INR 25,999.